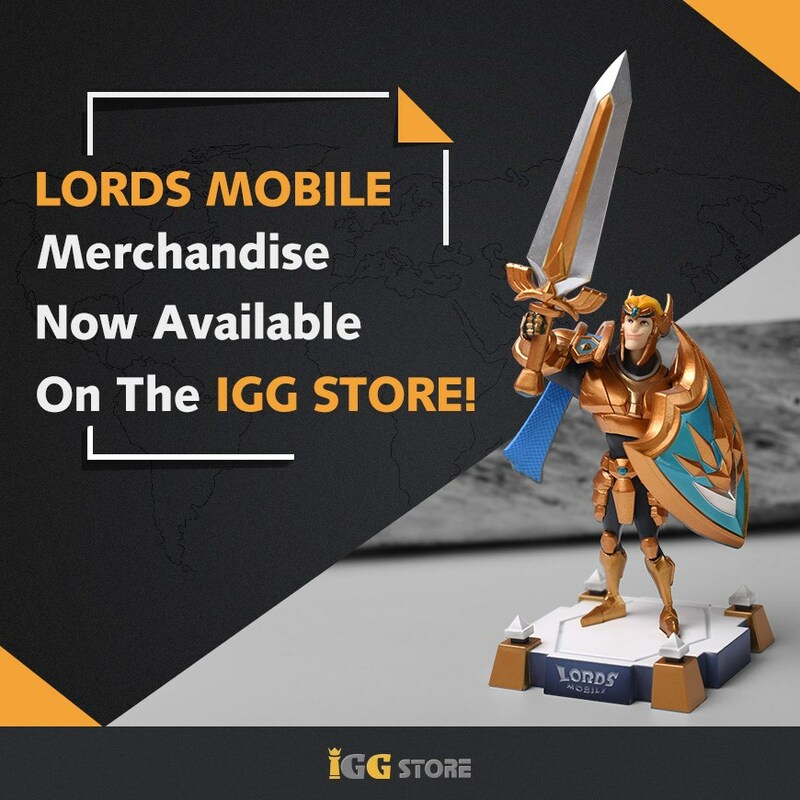 Lords Mobile Merchandise is Now Available on the IGG Store! The Lords Mobile team wishes all honorable Lords a great year ahead! Today, Lords Mobile is pleased to announce the trial launch of the highly anticipated IGG Store! Currently, it's only able to ship to: Australia, Canada, Mainland China, Hong Kong, Macau, Taiwan, Singapore, United States, and United Kingdom. Delivery to other countries and regions will be available in future. You'll find lots of official Lords Mobile merchandise (printed mouse mats, caps, phone cases, and much more) at attractive prices at the IGG Store. We also plan to release more collectible figures of your favorite Heroes in the near future! Visit https://store.igg.com/ now! Should you encounter any difficulty using the IGG Store website, please visit our FAQ at https://store.igg.com/faq for a possible solution. If you have any further queries or suggestions, please feel free to contact us at https://store.igg.com/index/livechat, or drop us a mail at help.gamestore@igg.com. Next Next post: Lords Mobile: What P2W Heroes are Worth Buying?